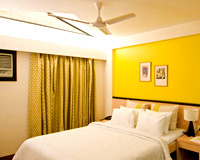 Citrus Lonavala is located in close proximity to the Lonavala & Tugrali Lake. 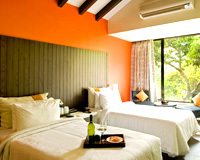 Sited amidst the verdant greenery, Citrus Lonavala is one of the best hotels located in the heart of Lonavala. 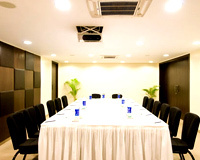 Owing to its close proximity to the highway, it is an ideal option for business travelers as well as leisure vacationers. 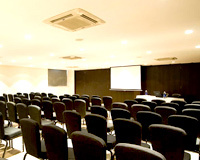 The hotel presents a selection of luxury rooms, coupled with an array of services comprising excellent culinary options, meeting room with state of the art amenities, games room and play zone to ensure complete pleasure. 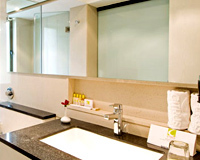 It also houses a spa and fitness center to keep its weary visitors fit and help reduce their stress levels. 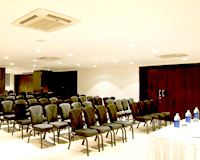 Yoga and aerobics sessions are also organized to recreate the mind and body. In succinct, Citrus Lonavala is a superb choice to put up for those who want to unwind in a clean and calm setting, with modern comforts. The hotel boasts of 55 lavishly furnished rooms, including 18 Executive Rooms, 23 Deluxe Rooms, 4 Suite Rooms and 10 Premier Rooms. 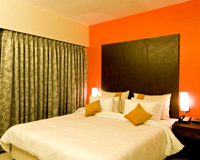 Each room is well appointed with contemporary amenities and decked up with stylish interior. 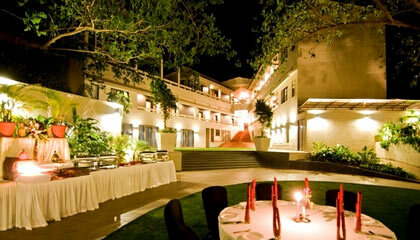 Restaurant: Enjoy an array of lip-smacking Indian & Mediterranean cuisines. Biso: A specialty restaurant serving scrumptious Mediterranean cuisine.